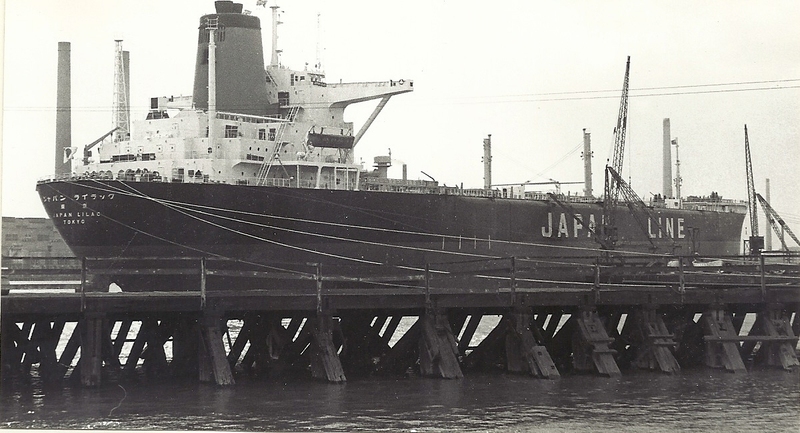 JAPAN LILAC was a very large ore/oil vessel. She was built in 1968 for the Japan Line. 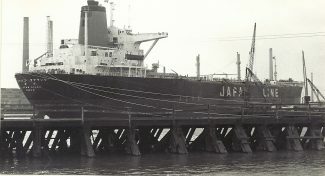 She is seen here on the Tilbury Repair Jetty in about 1971.